Have you ever wished you had a kitchen purposely built for use outdoors, so you can prepare and enjoy meals right there and then? If you do, then it’s about time you have an outdoor kitchen and BBQ installed on your yard. Just call Lawnscapers Inc. to get the best people for your project. 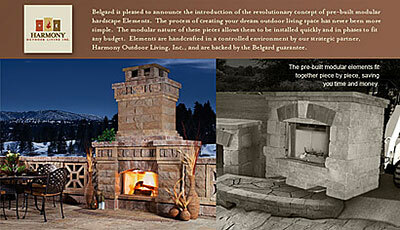 We are composed of competent and well-experienced outdoor kitchen builders and masonry experts. We have been designing custom outdoor kitchens and BBQ for properties across Wisconsin and nearby areas. The ones we install are complete with all the kitchen appliances and amenities that clients need, making them fully functional and suited for any cooking task. If you wish to know more about the outdoor kitchens and BBQ that we build, just dial (262) 377-5885 and our friendly staff will be ready to answer your questions. Our company creates highly customized outdoor kitchens for private residential areas and commercial locations. We can install pre-fabricated outdoor kitchens and BBQ, as well as customized ones. But while we may use pre-built kitchens, we still make sure that the setup is customized according to clients’ needs and lifestyle. We do this by adding the specific features or amenities that the property owner needs, such as pizza ovens, BBQ grills, smokers, fireplace, lighting, sinks, refrigerator, and custom cabinetry. We make sure that clients will have everything they need to prepare meals and desserts and then enjoy them with loved ones and friends. For our client’s convenience, we always suggest highly functional kitchen setups, particularly those with roofing. Roofed outdoor kitchens and BBQ not only protect our clients from the elements, but also allow them to maximize the use of the kitchen area. You can have a fixed-roofing or you may opt for a retractable or portable one. We only use premium materials when building outdoor kitchens and BBQ for our WI clients. The outdoor kitchen islands or sets that we install are made by leading manufacturers – from grills, ovens, smokers, and other kitchen equipment. 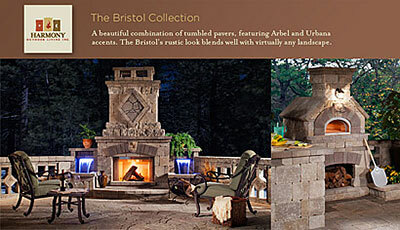 These products are proven to be functional and classy, thus making any outdoor kitchen truly extraordinary. 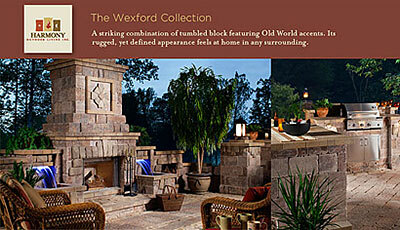 We also use premium quality pavers from Belgard and other trusted brands. If you opted for the roofed type, rest assured that it will be made from durable materials like treated hardwood or polycarbonate, pavers or stones, and other tough masonry materials. Meanwhile, we apply the same meticulous way in choosing the materials for the kitchen add-ons like dining tables and chairs, lighting, and custom cabinetry. The bottom line is that we will make sure that only the finest materials go into creating your dream outdoor kitchen and BBQ, so you can enjoy its benefits to the fullest. We will help you choose the right kitchen setup that will suit your budget and design requirements. Our design and build teams will closely work with you to ensure that we’ll meet your expectations. Our company is dedicated to ensuring that every client is fully satisfied with the quality of our work, particularly with the outdoor kitchens and BBQ that we create. Contact us soon and let’s work together to create the perfect outdoor kitchen and BBQ setup for your property.